“I was a nice lil’ guy,” Ricks’ reflects on his childhood. “I didn’t do nothing too bad.” Ricks was born and raised in Chattanooga, Tennessee. His parents were born on a plantation near Muscle Shoals, Alabama. It wasn’t until after flunking 5th grade twice and then 6th grade that his teachers realized he needed glasses. But by that point, Ricks was spending most of his time in the streets, stealing iron off railroads and smoking cigarettes with friends. When the sit-in movement began, Ricks became involved with protests and demonstrations. It was not until a man from the NAACP came to Chattanooga, however, that Ricks first heard the word nonviolence. “I was looking [at] that man and I was like … that’s the craziest sh** I’ve ever heard in my life.” Ricks then “slapped that man so hard his head almost came off.” Before long, however, he was leading nonviolent marches. 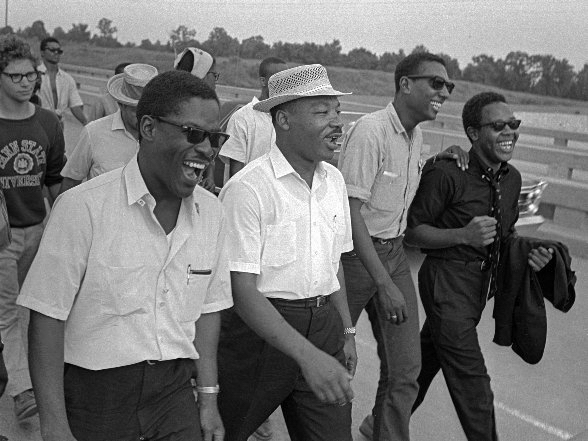 Ricks first heard about SNCC in 1963, when Jim Forman approached him after hearing that Ricks was “mighty militant.” Not long after, he got on a bus to Atlanta. His first assignment with SNCC was to lick stamps for Julian Bond. Ricks remained an ardent proponent of Black Power and Pan-African socialism in the years after SNCC. Stokely Carmichael with Ekwueme Michael Thelwell, Ready for Revolution: The Life and Struggles of Stokely Carmichael (New York: Scribner, 2003). Hasan Kwame Jeffries, Bloody Lowndes: Civil Rights and Black Power in Alabama’s Black Belt (New York: New York University Press, 2009). Cleveland Sellers with Robert Terrell, The River of No Return: The Autobiography of a Black Militant and the Life and Death of SNCC (Jackson: University Press of Mississippi, 1990). Interview with Willie Ricks by Carole Merritt, March 16, 2006, Voices Across the Color Line Oral History Recordings, Atlanta History Center. Interview with Willie Ricks by Charles Cobb, November 4, 2014, Brown University. Willie Ricks’s Alabama Police State file, 1965, Alabama Photographs and Pictures Collection, Alabama Department of Archives and History.